I've not felt like blogging for the past few weeks, which is why things have been a little quiet here. I was going to begin with an update of all that I have been up to courtesy of Instagram, but figured that would give away too much. Instead I'm going old school and it will just have to take a few days to get up to date again. I hope you don't mind. The Queen's Diamond Jubilee weekend seems like ages ago now, I know there has been a fair few posts around blog world about the weekend so I won't go into all the detail about the BBC coverage, I thought I would just keep it local. On Saturday myself and James headed to the Galleywood Common summer Jubilee fete. It was full of families and lots of stalls geared towards children, it wasn't quite what we had hoped for. 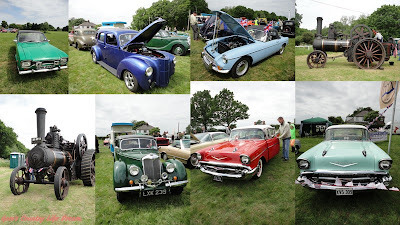 However upon walking across the common we came across a number of vintage cars. This was by far more our kind of thing. This was pretty much the highlight of our weekend. We attended a couple of other events but none that really interested us, we walked around and then left again which was really disappointing as there had been so much hype around the events. Either our expectations of things were just too high or the events just didn't deliver. There was one particular even we had been looking forward to for weeks, this also turned out to be a disappointment. 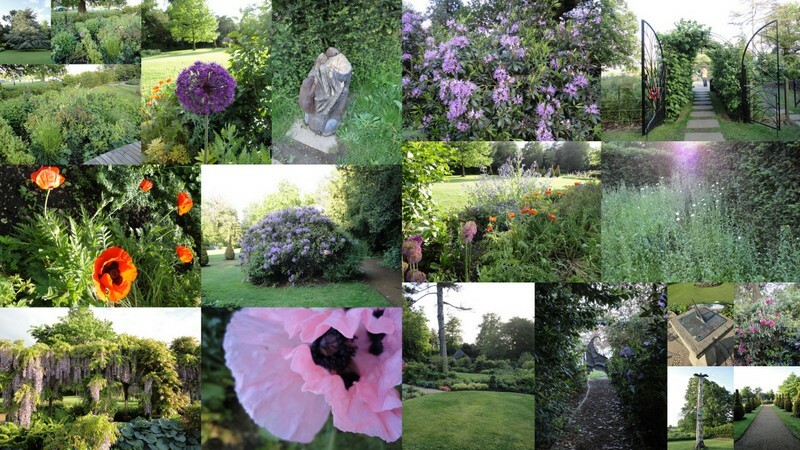 Rather than wasting another day we decided to walk around their gardens. They had designed a piece especially for the Jubilee. The rest of their gardens were also looking lovely, as always. Still it was great to see lots of bunting hanging in the streets from street parties and flags adorning the front of people's houses. I have always envied the Americans for their patriotism, it is one thing we don't seem to have a great deal of in the UK, but it began to seep through last weekend and it was so lovely to see the whole country get involved in the celebrations. For the past month or so I have been working on a cross stitch pattern trying desperately to get it finished in time for the Jubilee. I was so chuffed that I actually managed to get the cross stitch finished in time. I completed it on the Saturday. Okay so it didn't all go quite to plan. I hadn't followed the pattern properly and as a result it ended up being half the size, I gave up with all the different shades of red and blue and just stuck with the one shade after completing the wording in the centre and I also changed the crowns to make them less fiddly. Now that is a lot of changes, but I am so pleased with the finished result and completed the design into a cushion this weekend. It is my first ever cushion and I'm so chuffed with it. There are things I could have done differently but isn't that always the case, so I'm not going to beat myself up about it. My own little creation to remember the celebrations by.